Under stair cupboards: In small houses, we need to find creative solutions for storage, and this is a great way to make use of that neglected space under the stairs. Use it as a cupboard either to store clothes and linens or even as a DIY tool storage unit depending on the size. 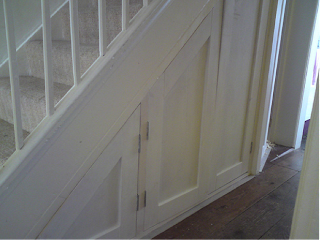 This may be a project more suited to the slightly experienced DIYer but with the right tools, and a lot of informative tutorials and videos online you can definitely do the job. 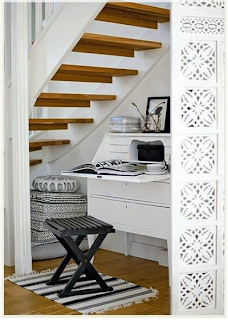 Under stair workstation: This one might seem slightly simpler than the cupboard project, as you don’t have to bother about doors and can choose to go the minimalist way with just one board for the table, and some open shelves underneath it. All it needs additionally is some provision for power and lighting, and you’ll have one of the most efficient workstations ever! 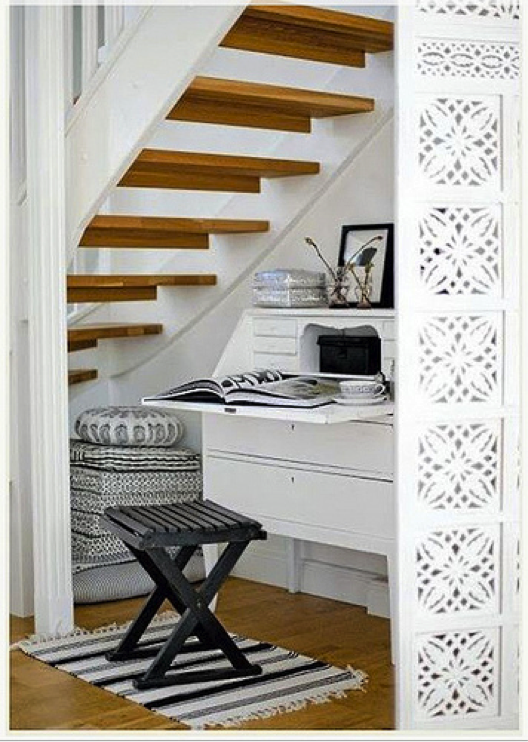 This could also be adapted as a reading corner, which could be a really cozy nook for you to relax in.